Americans can now expect to live 78.6 years, according to new data released by the Centers of Disease Control, a slight drop from 78.7 years in 2016. Why it matters: Globally, humans are increasingly expected to live longer and healthier. But with a growing number of opioid overdose deaths and climbing suicide rates in the United States, that trend has reversed over the past three years — against the norm for most developed nations. Older millennials between 25 and 34 years old saw the highest increase in death rates. The only age group to see a significant decrease in its death rate was 45- to 54-year-olds. CDC Director Robert R. Redfield, M.D. said in a statement, "Life expectancy gives us a snapshot of the Nation’s overall health and these sobering statistics are a wakeup call that we are losing too many Americans, too early and too often, to conditions that are preventable." The gender gap: Women's life expectancy in the U.S. has remained unchanged at 81.1 years since 2015. 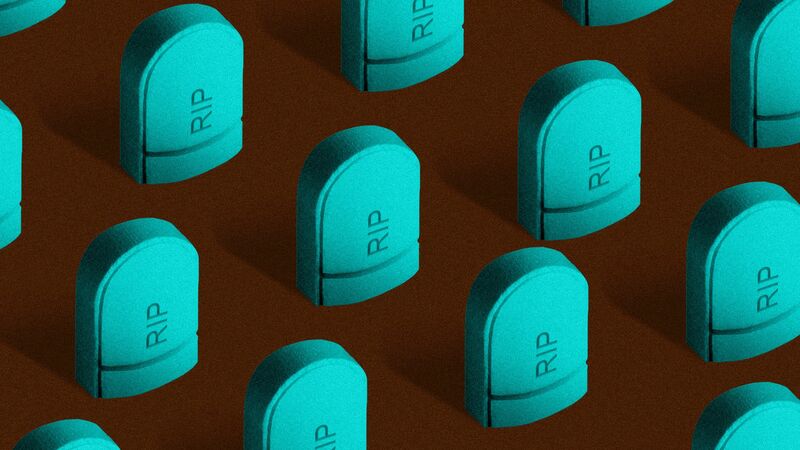 Men, who have had higher numbers of opioid overdose deaths and higher rates of suicide over the past few years, saw their life expectancies drop from 76.5 in 2014 to 76.1 in 2017. Heart disease and cancer remain the leading causes of death in the U.S. Suicide rates have continued to climb, increasing 33% from 1999 to 2017, according to the CDC.